Wow, the response has been overwhelming. Thank you to everyone who came out to get their pets photographed with Santa. So far we have raised over $400 for Rescue North. Today is the last day from 9am to 330pm. You don’t need an appointment, just come out to the Super 8 here in Kenora and bring your pet. 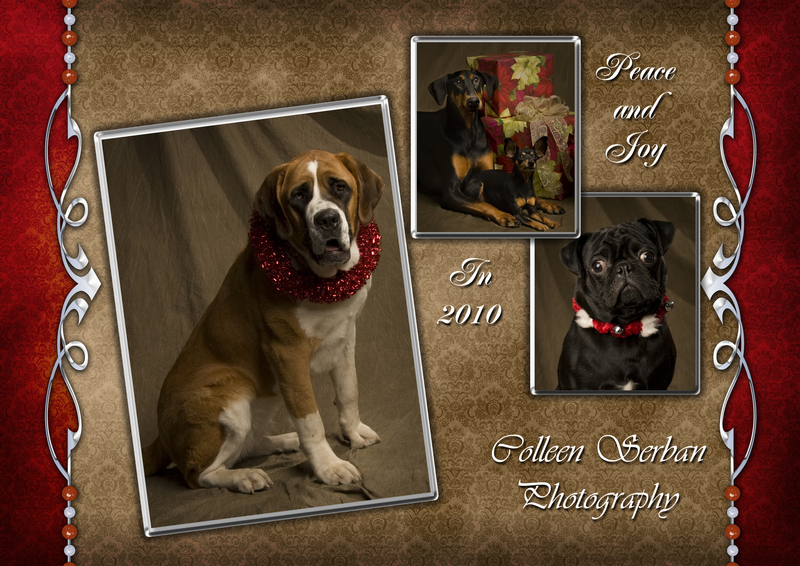 Well, if you are still unsure about coming to get your pet’s portrait…what are you waiting for? Our appointments are booking up but we still have openings on Friday and Saturday. Do you have more than one pet? Don’t worry you can bring more than one. If you can control all of them you may bring them and get their Christmas Portrait done with or without Santa. Mark your calendars for Pet Portraits with Santa on December 10th & 11th. They are taking place at the Super 8 in the Minis Hall here in Kenora. Bring your pets and your children. “Northwestern Ontario is currently in an animal welfare crisis due to a combination of unique circumstances, environmental and cultural issues. For most of our vast region, there is NO help available for animals found OUTSIDE of communities with Animal Control Services. The need was already overwhelming but with the arrival of winter and brutally cold temperatures, there has been a further increase in the number of animals in urgent need of food, shelter and medical care. Your investment in your pet’s portrait will be such a big help for Rescue North. It’s only $30 for the portrait session and a 5×7 print. That’s more than a $75 value! And, of course you can order more prints to send out to family and friends, to hang in your home or the office and we do Christmas cards as well. What a great opportunity for some adorable portraits!